Hype DC are joining on the Black Friday frenzy with their own global exclusive, these sleek Reebok CL Nylons. Appropriate for the day, the stealthy CL Nylons are cloaked in black from top to bottom, with vivid gold highlights on the tongue, heel and vamp. 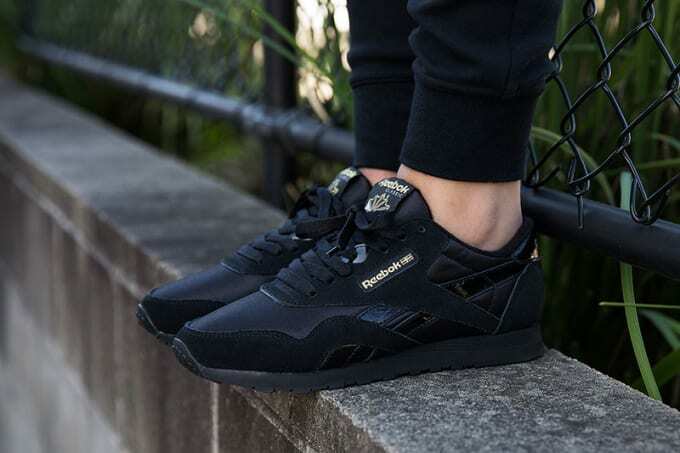 The world-exclusive Reeboks are part of Hype DC's Black Friday celebrations, which also includes a Puma Black Friday pack and 30% off all apparel and accessories (excluding sunglasses). More info at Hype DC.